Oare on Monday was a frozen waste but there was no snow then. A male marsh harrier was quartering the reeds around the East Flood when Mark Stanley and I arrived. A walk around the sea path revealed c. 75 shelduck on the shore, 80 avocets huddled together against the wind, and a fair number of curlew, redshank and dunlin. 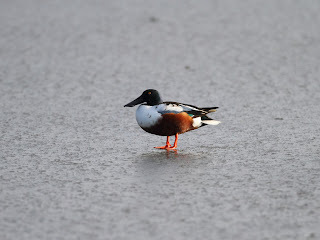 The East Flood was iced over apart from a small area near the road where a number of teal, wigeon, lapwing, mallard, common gulls and shoveler congregated, joined by a single ruff. 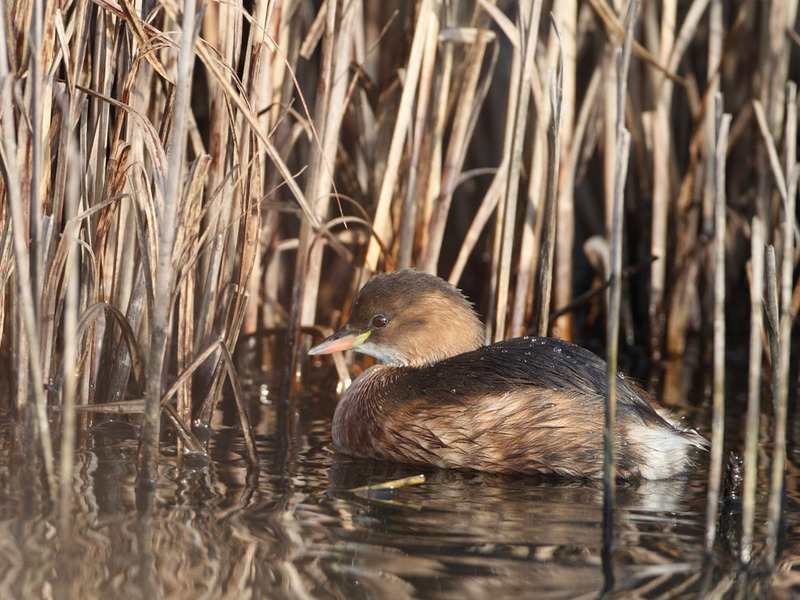 What do water birds do in the freeze? They skate! 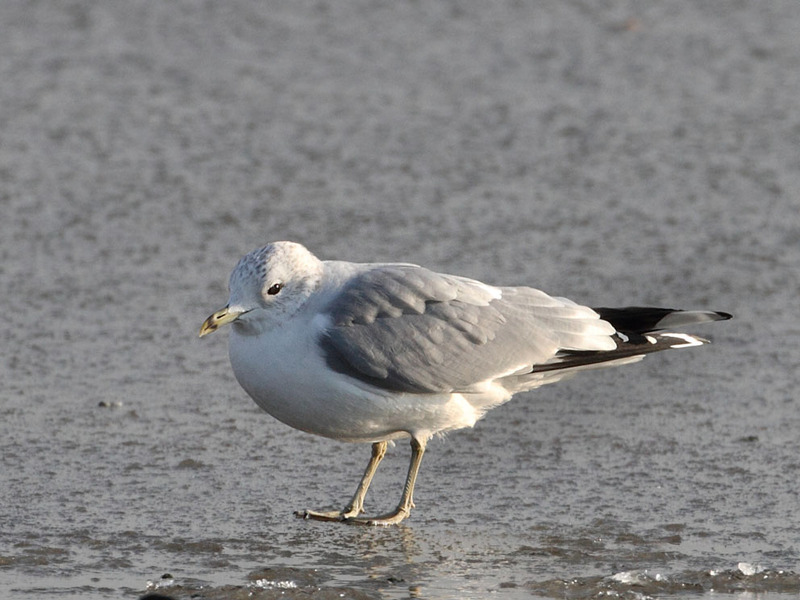 Common gull. It sat down on the ice a moment later! 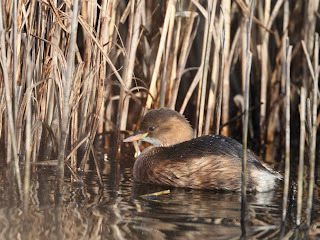 A little grebe was very close, on the channel between the road and the bank, as this stretch of water was also not frozen. Whenever we crept up on it, it dived. When we had put our cameras in the car it appeared nearer than ever!! We did get some shots of it anyway, probably nearer than ever before. 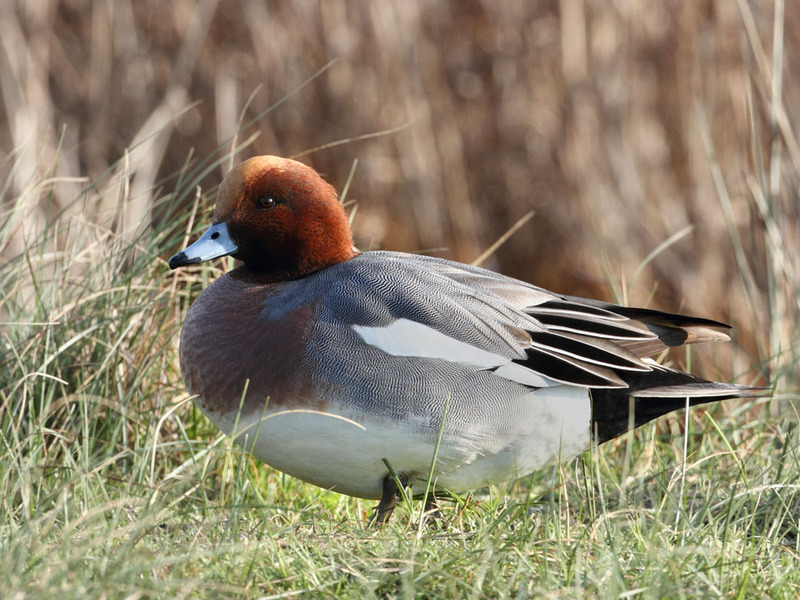 The widgeon were also very close and showing very well!